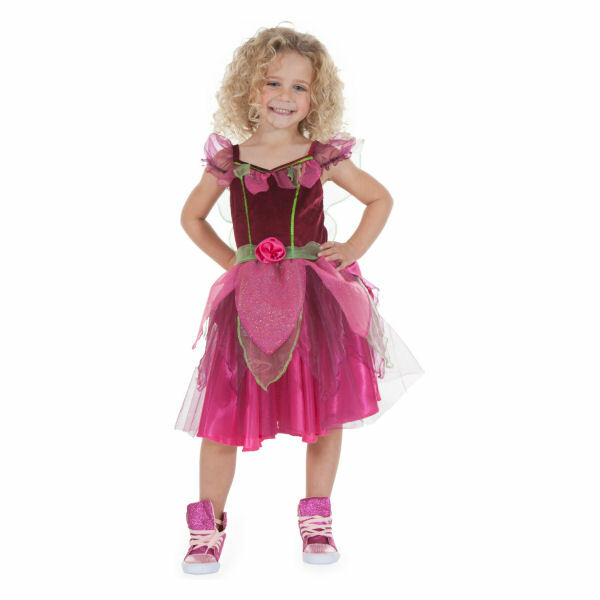 Velour bodice trimmed with sparkle organza petals also on the skirt. Organza waist sash trimmed with flower and ribbons. 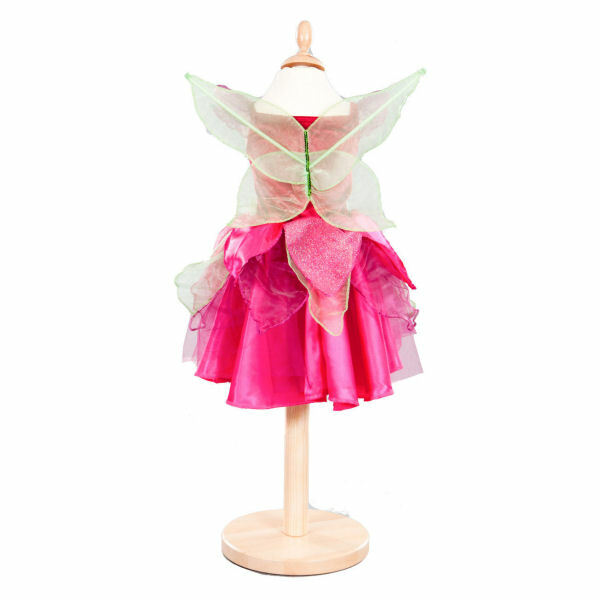 None specified at present for Scarletta Fairy Costume by Pretend To Bee. 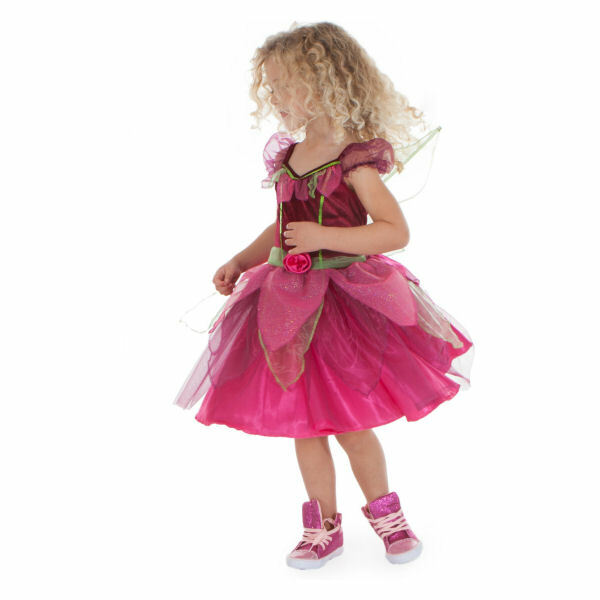 Deep fuchsia sparkle fairy dress. Velour bodice trimmed with sparkle organza petals, also on the skirt. 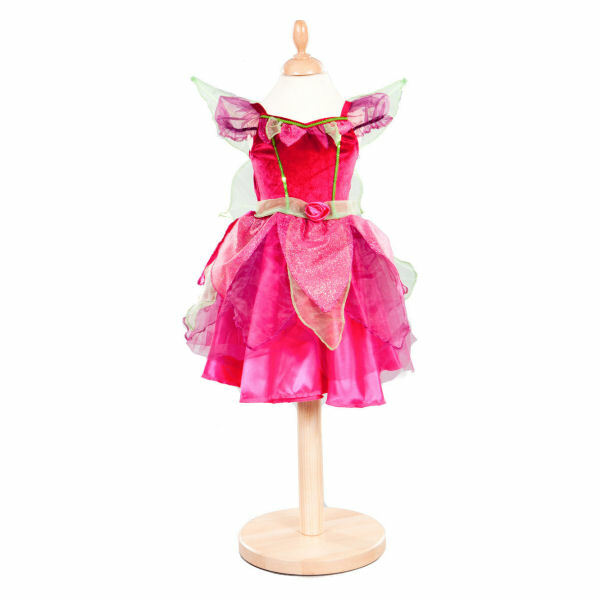 There are no videos for Scarletta Fairy Costume by Pretend To Bee at present.